Disruptive and harmful pests are a nuisance and becoming more of a problem as humans continue to develop land that was once their home. 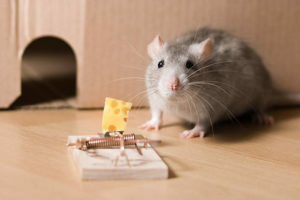 Exterminators and pest control professionals need to continue to develop new and humane ways to trap and relocate these critters. This unit’s focus is the design of an effective and humane animal trap that could be used on a variety of animals. Students will utilize their gained knowledge of forces (electrical, magnetic, and gravitational) through teacher demonstrations, models, multimedia presentations, and hands on activities to implement one or more forces in their final design. Final designs will be tested using various sizes of motorized animals to simulate diversity of life. Build a (humane) mouse trap using gravitational, magnetic, and/or electric forces. Students will be assigned a type of animal and number of forces that must be used in the trap design. Students will design, build, and test a trap that uses the number of forces assigned to humanely trap the animal (minimal contact with animal). Depending on the results of the trap testing of the original design, the students will redesign and re-test to meet the original performance criteria or maintain performance while reducing the cost of the design. Students will create detailed sketches of original and redesigned traps (including dimensions) and bill of materials (cost of raw materials to make the trap) for the original and redesign and calculate cost reduction. Students will present and defend original and redesigned traps; bill of materials and reduction of cost. Browse the Stem Curriculum archive. Grade Level: 7, 8. Content Area: Engineering, Science and Technology. Industry: Sensors. Bookmark the permalink.